Beautiful, unusual, and one-of-a-kind. Crafted by hand in olive wood, made in a traditional workshop in an ancient town in Umbria, the game board doubles as a work of art. The only care it needs is an occasional rub with olive oil on a soft cloth. Board is about 15" x 16", will vary as irregular shaped. 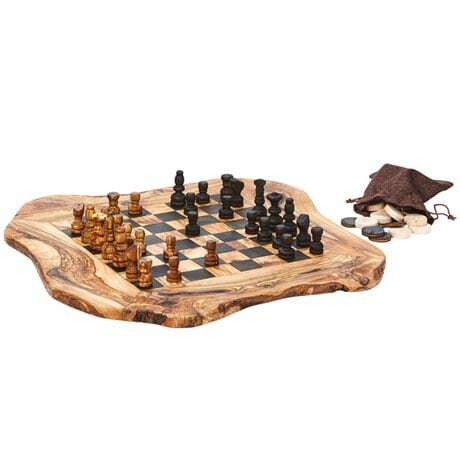 Includes olive wood checkers and a set of chess pieces.